Yes, we are all God’s children. 29 Being then the children of God [As we are the offspring of God KJV], we ought not to think that the Divine Nature is like gold or silver or stone, an image formed by the art and thought of man. No, only certain people are God’s children. Everyone else is a child of the devil and/or a child of wrath. What does the Bible say about the question: Who is a child of God? Are all people children of God? Are just some people children of God? If so, what makes some people children of God – and not others? Moreover if Christians are children of God, aren’t they discriminating against all the other people? Is it a blessing to be a “son of God” (as a Christian) and to constantly feel better than those who are not? Mmmmm, this doesn’t sound proper. Does it? Psalm 82:6 is not to be taken for human beings, but for spiritual ones. Yet, through the Fall of Man, people cannot experience their true descent. They experience that they are separated from God through sin. Not being in contact with God, many feel lost – as lost children of God – and they can’t gladly say “I am a child of God”. The Bible teaches the possibility of a restored relationship with God, resulting in the experience of a true childhood of God, or as “found children”. – Ephesians 1:5 “He predestined [better: selected] us to adoption as sons through Jesus Christ to Himself, according to the kind intention of His will, …” A matter of debate is the so-called personal predestination before the foundation of the world, a strong Calvinistic doctrine, which is not relevant here. (See the discussion of Sab Contradiction 179). This is very wrong. The critic makes severe mistakes and has gotten himself into a hopeless mess. Unfortunately not a few Christians seem to have the same terrible opinion and are swimming in the same mess. This is a shame and they should know better! All people are destined as sons and daughters of God, but being in the Fall of Man they have become “children of the Fall”, which is the same as “children of wrath”. Observing the world we see God’s great works, but we also see pain and misfortune among all creatures. Human Beings, considering themselves, see that they belong to one big family of mankind. Being of God’s offspring we feel that we are lost children, in a state of wrath (pain and misfortune). The expression “Children of wrath” has the connotation of compassion and doesn’t stand at all for “Children of the devil”. This expression has a totally different meaning. The term “Children of the devil” is restricted to those people (one distinguishing mark) who want to finish a difference of opinion in religious matters with killing and murder (dangerous extremists). In John 8:41-44 is the accusation “your father is the devil,” this was not said by Jesus to the entire Jewish people, but to those Jews who tried to stone Him at that very moment (8:59). In 1 John 3:10 “By this the children of God and the children of the devil are obvious: anyone who does not practice righteousness is not of God, nor the one who does not love his brother.” This is explained immediately in verse 12 "not as Cain, who was of the evil one and slew his brother." When Paul called Elymas a son of the devil (Acts 13:10), he could do so as he was filled by the Holy Spirit who revealed him the final intention of Elymas (maybe as also Paul himself had lived so earlier). We don’t have here a binary classification of mankind "children of God" (believers) and "children of the devil" (unbelievers)! The problem has been incorrectly defined by the critic to speak about either children of God or children of the devil. What is the biblical wording? Yes, we are all God’s children as we are of God’s offspring. There are found and lost children of God. God’s heart goes out compassionately to those who are lost. There is no contradiction in the Bible concerning the use of these expressions. The anti-Semitic suggestion of the critic concerning John 8:41-44 should be rejected. “Then said they [the Jews] to him … Ye are of your father the devil, and the lusts of your father ye will do.” It is not appropriate to suggest that Jesus accused “the Jews” of being “children of the devil”. This is dangerous nonsense as history has shown. He himself was a Jew, his followers were Jews, Judeans, and Galileans. 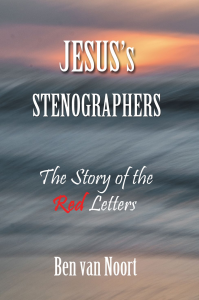 The phrase: “They answered him …” (John 8:33) should instead be properly translated “One answered him …” (from verse 33 and eventually onwards in this and other paragraphs: “one” for “they”).